DIN Standards are invented for a variety of components including industrial fasteners as DIN 582 Lifting Eye Nuts. DIN 582 Nuts are manufactured from Acid-Resistant Stainless Steel Grade A2 or A4, Brass, Alloy Steel, Ordinary alloy steel, Galvanic Zinc Coating or many other materials. 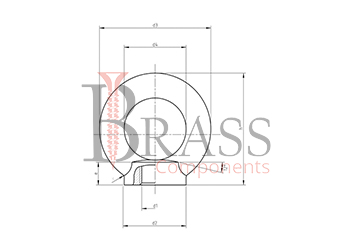 DIN 582 Eye Nuts are available in a wide range of sizes, shapes and materials. DIN 582 Eye Nuts look like a round or elliptical metal ring with threads on outside. Rust Resistant and Highly Versatile. Can’t be assembled against a surface which differ essentially from a surface perpendicular to the direction of the fit. Must be fully screwed to achieve a perfect contact between the two mating faces. Both Threads must be of equal length and the base material of equal strength to that of the nut. The Ring is designed to capture when transporting them. For fixing bolts or on process studs for high strength installations. Can used together with the anchor bolt. Used as permanent attachment on different types of equipment including motors, control cabinets, gear boxes, etc. Generally used when a removable lifting point is required. 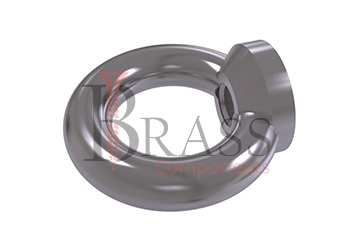 Used as a termination for chain, wire rope or other assemblies. For High demand lifting and handling functionalities in Safety Relevant areas. We manufacture DIN 582 Nuts as per Custom Specification and export in Germany, Spain, Netherlands, Portugal, UK and other European Countries. For more Information, Please Contact Us or Inquiry Now.